Spinach is best Vegetable that we can eat daily. It is loaded with tons of nutrients in a low-calorie package. Dark, leafy greens like spinach are important for skin, hair, and bone health. They also provide protein, iron, vitamins, and minerals. Broccoli gets its name from the Italian word “broccalo”, which means “cabbage sprout”. Spinach is a versatile vegetable and can be eaten raw or cooked. It is available fresh, frozen, or canned. But I will recommend to eat it only fresh not canned one. I also use Broccoli a lot in my daily diet. I make Broccoli Salad with the combination of Cucumber for dinner. I also make Saag of Broccoli with the combination of some more Greens. Low in calories but packed with nutrients, spinach is one of the many leafy vegetables becoming more and more prevalent on the salad bar. Its versatility makes it easily adaptable in healthy vegetable drinks and smoothies. It is loaded with nutrients and antioxidants, and considered to be very healthy. A lack of iron in the diet can affect how efficiently the body uses energy. Spinach is a great source of iron. Make sure to combine vitamin-C-rich foods such as citrus fruits with plant iron like spinach to improve absorption. Beta-carotene, in cooked spinach, helps boost eye health. It can also prevent vitamin A deficiencies, itching eyes, eye ulcers, and dry eyes. The anti-inflammatory properties of these greens can also reduce the puffiness or irritation. Since I’m drinking baby Spinach Juice daily, my Blurred Vision improved and my eyes health is better than before. 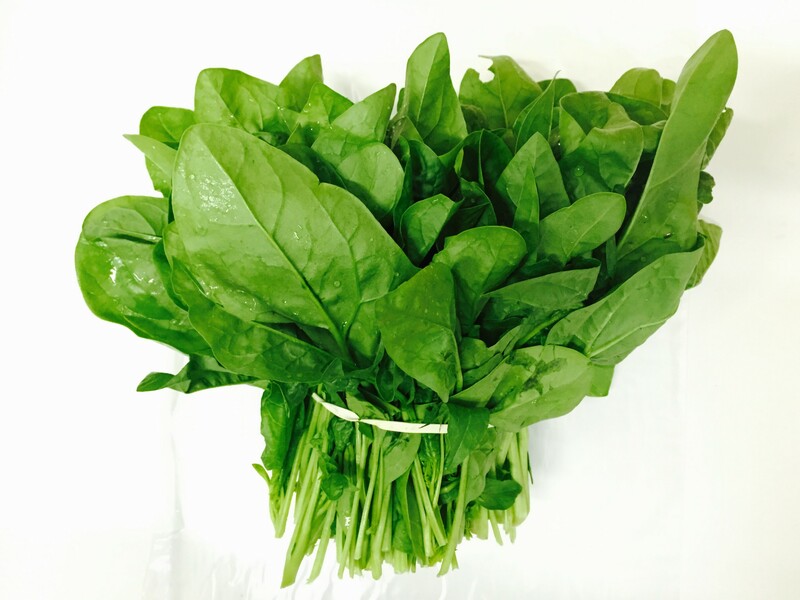 Spinach has a very high content of potassium and a low content of sodium. This composition of minerals is very beneficial for high blood pressure patients as potassium lowers and sodium raises the blood pressure. Folate present in spinach also contributes to the reduction of hypertension and relaxes blood vessels, while maintaining proper blood flow. By reducing blood pressure and relaxing the tension of vessels and arteries, you can reduce stress on the cardiovascular system and increase oxygenation to the body’s organ systems for optimal functionality. The best thing about Spinach is, it is all year round available in all Grocery stores. It is well known for its nutritional qualities and has always been regarded as a plant with remarkable abilities to restore energy, increase vitality and improve the quality of the blood. The health benefits of spinach include skin care, improved eyesight, regulated blood pressure, stronger muscles etc. Doesn’t matter how we consume it, for example, we can use Spinach in Salads, Soups, Saag or drink also Spinach Juice daily to get so many health benefits from it. Broccoli belongs to the Cruciferous vegetable family, which includes kale, cauliflower, Brussels sprouts, bok choy, cabbage, collard greens, rutabaga, and turnips. Broccoli originated in Italy, where it was developed from wild cabbage and has existed since about sixth century B.C. Many studies have suggested that increasing consumption of plant foods like Broccoli can help to Loose Weight Naturally, diabetes, heart disease, and overall mortality. I have seen Kids love Broccoli, because my own two Sons and daughter in law include myself and my husband, we all love Broccoli in Salad. Even Kids, who come to my home to eat dinner with their parents(family friends) they also eat Broccoli and ask their parents to give broccoli to their Schools lunch bags. Broccoli is full with Soluble fiber that draws Cholesterol out of our Body, because the fiber in Broccoli helps bind with bile Acids in the Digestive Tract. So this makes excreting Cholesterol out of our System easily. Broccoli contains Antioxidants, which can help the Body in so man ways. Broccoli is good for Immune System due to Vitamin C in it. Nutrients like vitamin A and vitamin C, found in broccoli, are great for keeping your hair Thick shiny and healthy. These vitamins also counter dry hair by regulating sebum production on the scalp to naturally moisturize hair. This leads to less brittle and fragile hair and reduces hair loss. Aside from that, including broccoli in your diet also gives you lustrous hair. Broccoli Recipe Video-How to Make Broccoli Spinach Saag?